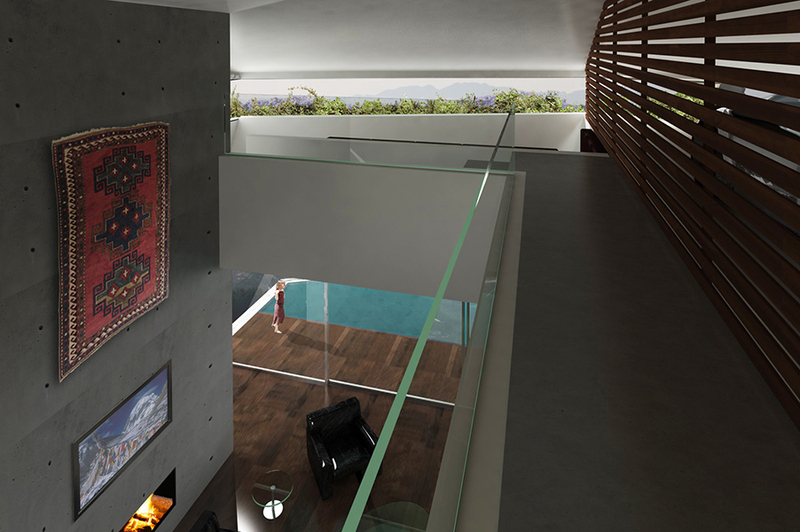 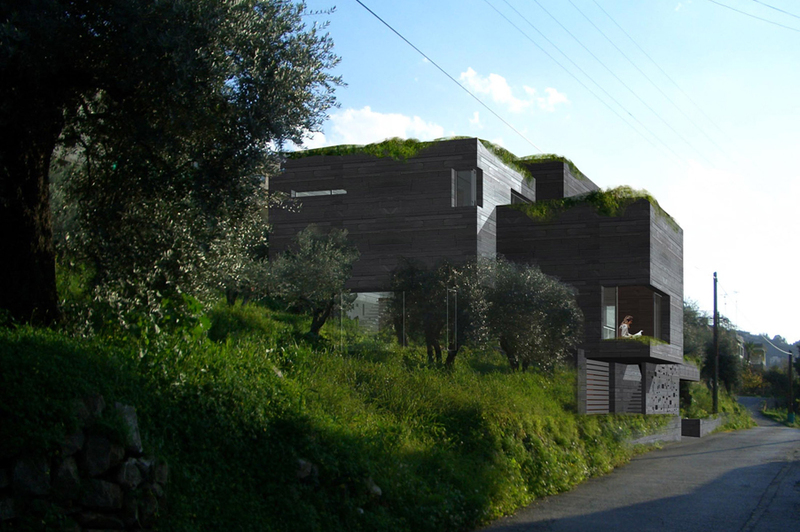 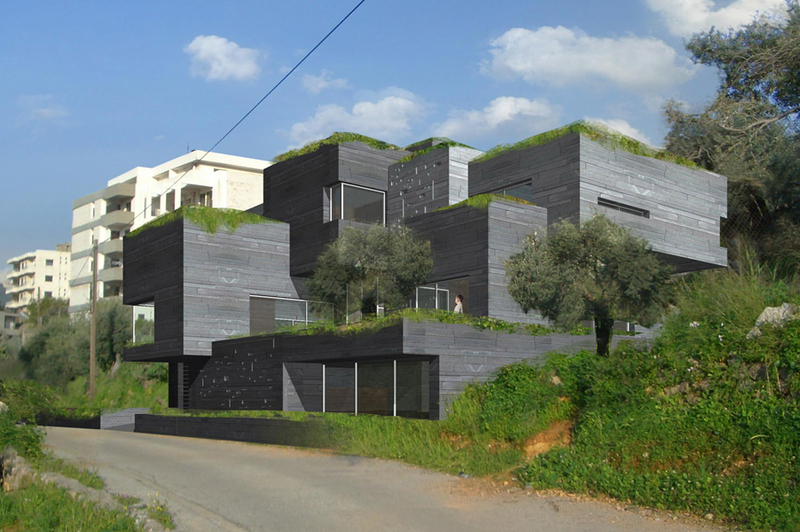 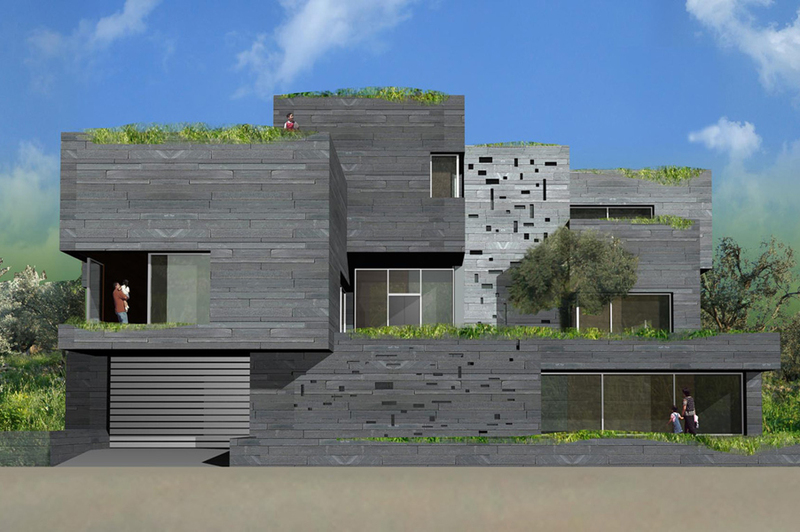 The site, which breaks in terraces as it slopes down towards the street, shapes the cascading volumes of the house. 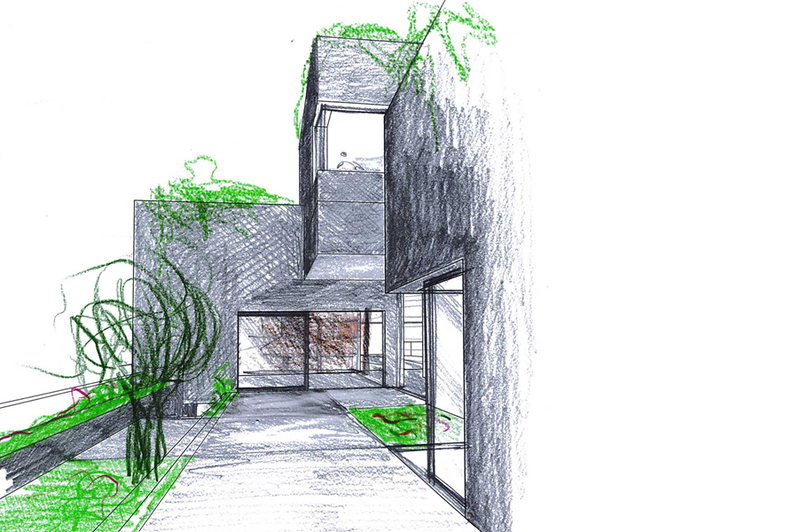 The privacy of the house being a main concern, due to its proximity to the street and to neighboring terrains, these cascading volumes are organized around a central courtyard, and shift at certain instances in order to create suspended gardens. 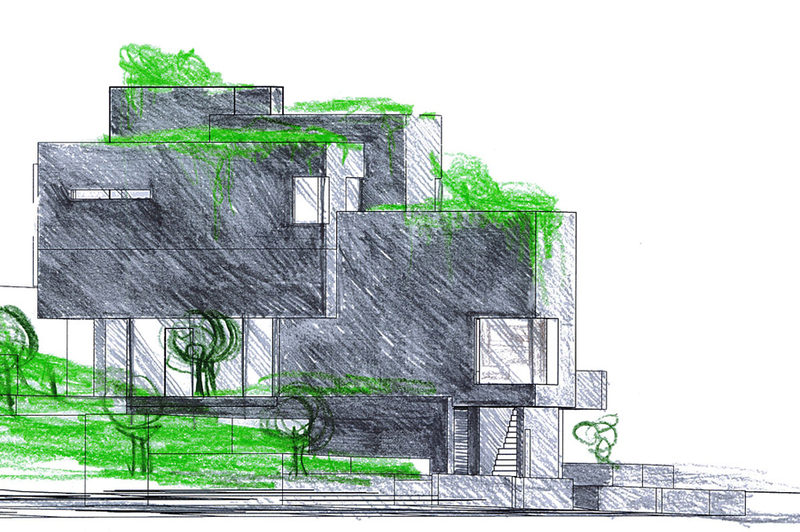 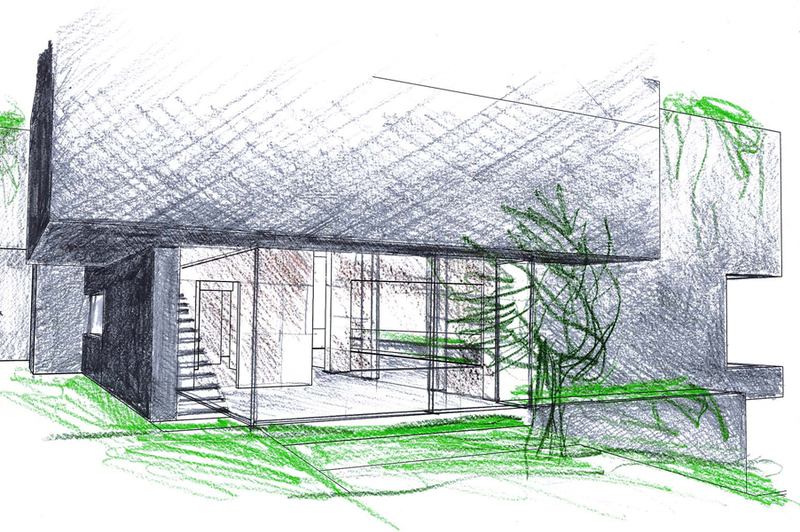 The resulting configuration allows for the roof of each volume to become an outdoor planted terrace for the receding upper volume, creating a rich composition of greenery and of grey masses, a direct echo to the shades and textures that form the surrounding landscape.